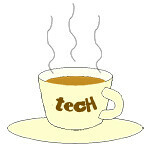 Logitech « Tech bytes for tea? The new K780 wireless keyboard from Logitech has a 10-key pad and can switch easily between any three connected smartphones/tablets. Available in Singapore now at S$129. With a power-saving idle mode and an on/off switch, the K780 Multi-Device offers up to 24-months of battery life – plenty of time to get used to a new way of multi-tasking, by typing on all your devices with a single keyboard. The Logitech K780 Multi-Device Wireless Keyboard is a fully-equipped computer keyboard with a 10-key pad that works with smartphones and tablets. With the touch of an Easy-Switch button, you can easily switch between– and type on – any three connected devices. The 2016 Party Collection wireless mouse from Logitech is now available in Singapore for S$29. There are six designs to choose from: (clockwise from top left) gorillas, flamingos, astronauts, popsicles, cocktails and toucans. The festive Party Collection is inspired by the ‘80s Memphis style of design that emphasises bright, contrasting colors and graphic patterns. Monkey finds a BFF. The M238 Logitech “Toucan” wireless mouse from the 2016 Party Collection meets up with the veteran “Monkey” from last year’s Logitech 2015 Play Collection. S$29 in #Singapore now. A single battery lasts up to 12 months! Each mouse lasts up to 12 months on a single battery and is compatible with Windows®, Mac OS®, Chrome OS™ or Linux®. The Logitech G810 Orion Spectrum features Romer-G mechanical switches and intelligent RGB illumination. Available now in Singapore: S$259. G810 Orion Spectrum RGB mechanical gaming keyboard. S$259 in Singapore now. The latest addition to the Logitech G RGB mechanical gaming keyboard lineup sports Logitech’s Romer-G mechanical switches, promising 25 percent faster actuation than standard mechanical keyboards, as well as customisable RGB lighting and dedicated media controls. If you’re looking for a useful and chic gadget for a friend this Christmas, check out Logitec’s range of keyboards, mouse, headsets and accessories. Clockwise from top-left: Logitech MX Anywhere II mouse, G633 gaming headset, K400+ living room keyboard, M337 mouse, K380 keyboard, CREATE case/keyboard for iPad Pro. I’m using a number of Logitech’s products because they perform well and are reliable, and they look rather chic as well. Also they are reasonably priced and affordable, and offer good value for money. So if you’re looking for that tech gadget for a friend this Christmas, check them out! Below are some of their more interesting gift ideas. The Logitech Wireless Mouse M280 is available in Singapore now for S$29. Logitech Wireless Mouse M280 – 18 months of battery life. The Logitech Wireless Mouse M280 is designed with a curved shape to guide your hand to a natural position. “With the considerable amount of time each day that we all spend using desktops, laptops and tablets, it is really important that our input devices are comfortable to use,” said Moninder Jain, Managing Director for Logitech Southeast Asia and India at Logitech. With the asymmetrical form, a wide wheel that improves the scrolling experience and the Logitech Advanced Optical Sensor to provide enhanced precision and responsiveness, this mouse is a fit for any of your needs, whether you’re hard at work or just browsing the Internet. The Logitech Wireless Mouse M280 is compatible with all major operating systems, and it has an integrated sensor for precise tracking and smooth cursor control. The Logitech X300 Mobile Wireless Stereo Speaker is a wireless Bluetooth speaker designed for both mobility and performance. It is affordably priced at S$99 in Singapore. Despite its diminutive size, I found that the X300 speaker exhibited wide-range sound that easily fills a room. That’s due to the way the drivers have been angled facing upward and out to produce a more expansive sound spectrum. The X300 can also be placed upright. Photo: Logitech SG. It delivers a deep and precise bass response, and detailed mid- and high-range sound. You can also position the speaker upright in case of space constraints. As with other Logitech Bluetooth speakers that I have tried in the past, connecting the speaker to a Bluetooth-enabled device and playing music streamed from the device is a piece of cake. Simply hold down the Bluetooth button on top of the X300 for a few seconds for the initial pairing. Make sure the source device has its Bluetooth turned on and is scanning for devices. A blue light below the power button behind the speaker will begin to flash until it has paired with a device, in which case, the light will become solid. I had no trouble pairing the X300 to my GALAXY S5 and iPad mini. The Logitech Wireless Mouse M235 (S$29) comes in four colours: Green Envy, Bubble Bath, Blue Bliss and Daring Diva; and is available in Singapore in May 2014. Logitech Wireless Mouse M235 – a mix of precision and comfort, with bold color blends. Equipped with Logitech’s Advanced 2.4 GHz wireless connectivity, the mouse promises a powerful, reliable connection with virtually no delays or dropouts. The M235 measures 95 x 55 x 38.7 mm and weighs 84g including the battery and receiver (57.5g without battery and receiver). It comes with a 3-year hardware warranty. The new eye-catching contemporary colors. in this bright, vibrant collection puts a wide range of fashionable looks in the palm of your hand.